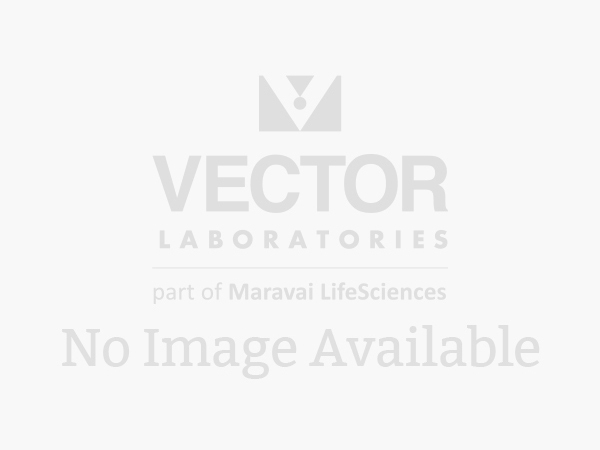 These affinity-purified, highly specific antibodies are directed against the most commonly used primary antibody target species and are available with a choice of fluorophores. Include ready-to-use 2.5% normal horse serum (15 ml) for blocking. VectaFluor™ Duet IF Double Labeling Kits allow you to apply two colors in one step. 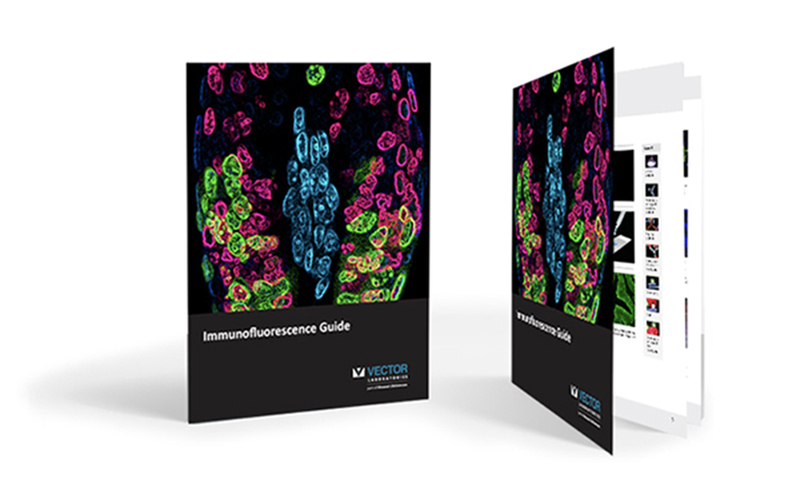 These kits save time and effort in double-labeling immunofluorescence (IF) protocols, which can be long and tedious. 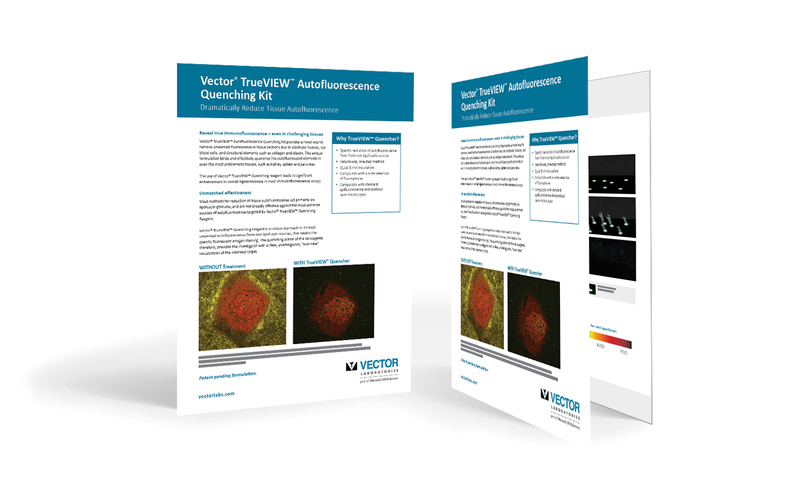 The kits are formulated to detect a mouse and a rabbit primary antibody — with green and red fluorescence — in a single step. 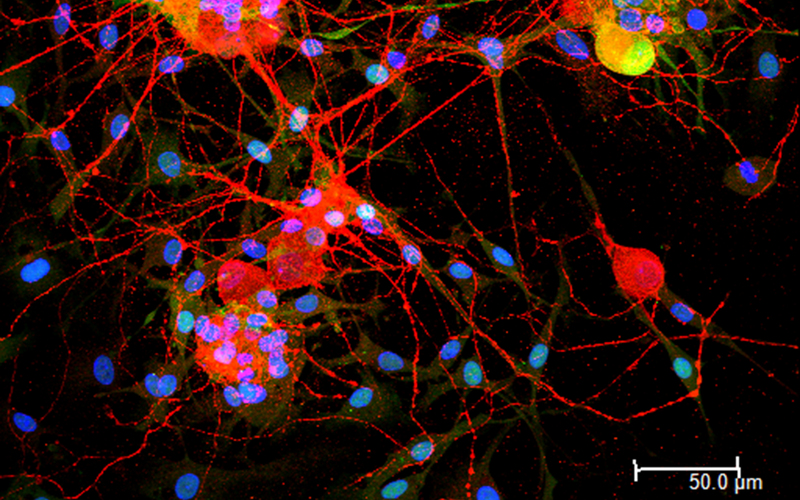 Dorsal root ganglia cells (neurons and satellite glia) - double label. 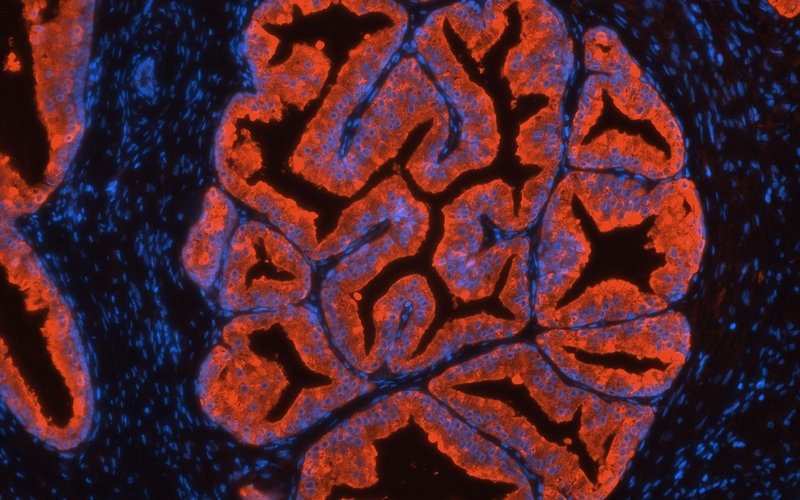 BIII tubulin, DyLight 594 labeled secondary antibody (red). S100, DyLight 488 labeled secondary antibody (green). Mounted in VECTASHIELD HardSet Mounting Medium with DAPI. Image courtesy of Emma East. Prostate (FFPE) was antigen retrieved with Antigen Unmasking Solution, and stained with Anti-PSA rabbit primary antibody and Cy3-Goat Anti-Rabbit IgG. Mounted in VECTASHIELD HardSet Mounting Medium with DAPI. 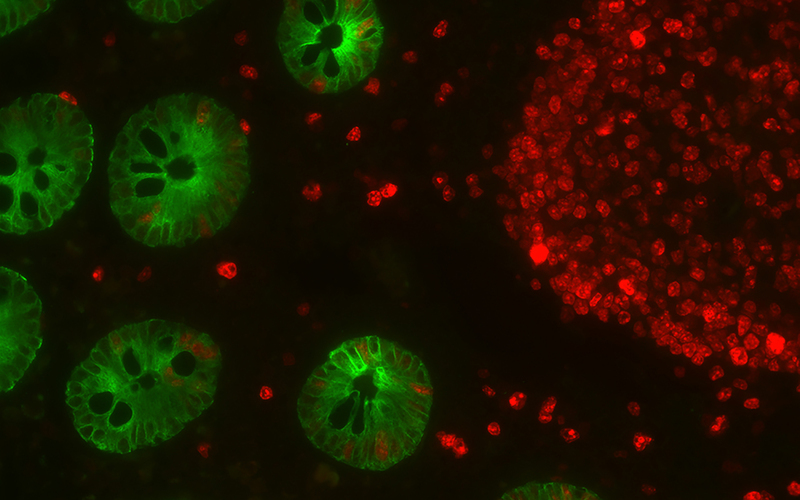 Colon: Mouse Anti-Cytokeratin (AE1/AE3) and Rabbit Anti-Ki67 detected simultaneously with VectaFluor Duet Immunofluorescence Double Labeling Kit, DyLight 488 Anti-Mouse (green)/DyLight 594 Anti-Rabbit (red). Mounted in VECTASHIELD HardSet Mounting Medium.